So your family reunion event is just around the corner and your reunion dollars are low. How do you use those few dollars to make more funds? One word. Sell. Find free or cheaply prices items, mark them up and sell them at your next fundraiser. It really is that simple. But it can get even simpler. 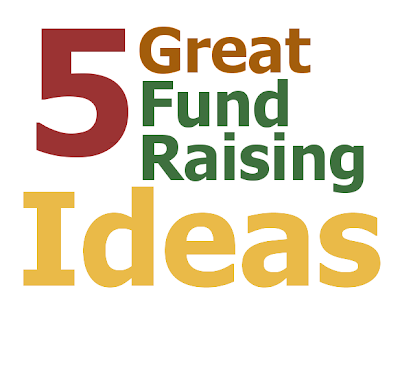 One of the most time efficient and cost effective ways to raise funds is to promote a fundraiser to all family members via your google+ or facebook page. You can do this easily using your FRP Social Interface. 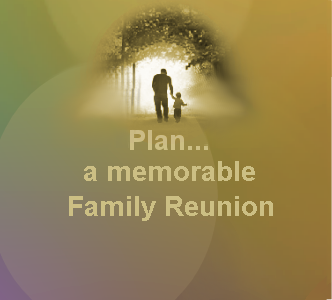 Fimark's Family Reunion Planner Social features great fundraiser ideas which I will discuss later in this article. Consider raising funds for your event by holding a performance at a busy local city/town square or street corner. Simply have very talented volunteers perform at the busy location for two or more hours. Carefully place a hat or collections pan near the performing artists. 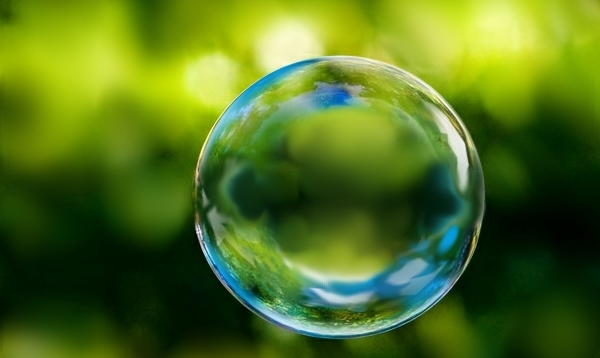 If talent is limited consider having a bubble show in a park or open area. Make sure you are a considerable distance from oncoming traffic. Review this video for setup and location ideas. Backyard Fundraisers - What To Sell? Now lets say you want to have a fundraiser in your backyard. Many attendees are frugal and will not buy just anything. Offer coupon books, gift cards and event accessories such as coolers, bags, caps and outdoor sportswear. Print and frame poems that will be featured at the family reunion banquet dinner. 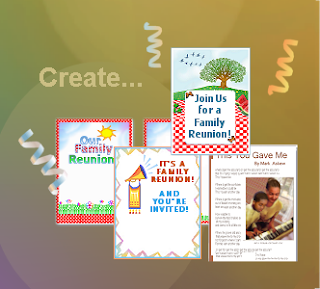 You'll find 5 popular artistically designed printable family reunion poems in Fimark's Family Reunion Planner Social web app. While frequenting weekend flea markets Brenda and I found the the hot sellers were books, music CD's, DVD's and vintage posters. The trick to big sales at your fund raiser is knowing the titles of books and DVD's your attendees will want to buy. So how do you start? You could email all your family reunion attendees and ask for suggestions on book, music and movie titles they're interested in. Create a log list of titles then start collecting books by asking for donations from the family, friends and acquaintances Most family members are more than happy to donate books to free up space in an apartment or small home. Collect books from library book sales and giveaways. Dollar stores are a great place to find 5 to 10 year old best sellers dirt cheap. Now is the perfect season to go on the hunt for most wanted titles at yard sales and flea markets. Flea market and yard sale managers tend to cut prices much lower during the late summer month compared to early spring. Don't have time for all that footwork? Go online to places like amazon.com or Google shopping. You'll find books as low as 50 cents. Don't forget to take advantage of free shipping. Makes it all worthwhile. Knowing how to stocking up on cheap books and DVD's in preparation for your fund raiser is just half the battle. You also need to know how to get books and DVD's your buyers want. You could ask. But chances are you'll get little response. A time saving approach would be to make use of your FRP Social Interface. Fimark's Family Reunion Planner Social features a sortable searchable database listing all your facebook friends and family who members who have facebook accounts. The database contains their photo, name, birthday, relationship status and interests in books, movies and music titles in categorical order. Takes all the guess work out of finding titles, movies and music they are sure to like. Fimark's Family Reunion Planner Social is a family reunion planning application. Get this browser based application along with the award winning family reunion planner with the reunion planning ebook. How To Find Book Titles: After get access to Fimark's Family Reunion Planner Social locate the Invitees Interest List database on the interface. Move the slide bar to the Books category. Notices the titles of books listed by each friend and family member. Focus on the titles listed buy folks likely to attend the fund raiser. Copy and paste the title onto a list. Once you have the most popular titles go to an online price comparison market and purchase the books at the lowest price. You may even consider purchasing other titles written by the same author. Even if the attendees who listed the title do not purchase the book they will likely recommend it to others at your fund raising event thus promoting sales. How To Find Music Titles: Look over each attendees favorite titles as listed in the FRP Social database and purchase the more popular music titles listed. in addition, if you notice that many of your attendees like the same titles and artists consider purchasing several titles by that particular artist. How To Find Movie Titles: Use a similar method when purchasing movie DVD's. Focus on the more popular movie titles of the same genre by the same director. Find dirt cheap new and used books CD's and DVD's at discount warehouse prices at online stores. Compare prices and buy cheap. Take advantage of free shipping offers. Fimark Home Online has a gateway to some of the best quality and lowest priced products and goods online. Nothing touches tugs and pulls at the heartstring more than a family reunion keepsake and heirloom in the making. Here are some 5 great family heirloom fundraising ideas to make your family reunion fundraiser a great success. 4. Combine Subjects of Two Separate Photos into one Restored Portrait. Restoration: How to do it. Step 1. Create a fundraising account with paypal. Step 2. Take a digital picture of each photo you want restored or combined. Step 3. Send them to Fimark Home Online via email. Submit to fimarkhome@gmail.com with the words "Photo Restoration Request" or "Combine Subjects Request" in the Subject line and attach photos to the message. Your photos will be process within 48 to 72 hours. Step 4. Once the work is done you can view the images on a private webpage. Step 5. After purchasing the restored high resolution digital image you can print it and frame it for sale at your fundraiser. You can also send family members to the private photo viewing page. When they purchase the image they are forwarded to the high-res page via email and funds are added to your paypal account within 24 hours. Send out flyers, emails, text messages and invitations at least three weeks in advance and a reminder each week until the event. List some of the items or categories that will be available. Have attendees share in organizing and managing some aspect of the event to ensure that they will be present to bid. Your fundraiser is to raise reunion funds not to spend reunion funds. That said, make sure that all who attend bring a dish, drinks and supplies to equalize the expense and prevent having to dip into the reunion account. For more ideas to get your fundraiser off the ground consult Fimark's award winning Family Reunion Planner Social web app for use in your Chrome browser. What, don't have FRP Social yet? Good news. The app is reduced from $49 to only $40 for a limited time. It's family reunion t-shirt designing time! 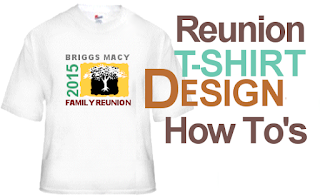 This month you want to wrap up your family reunion planning tasks and jump to the task of designing your family reunion t-shirts. 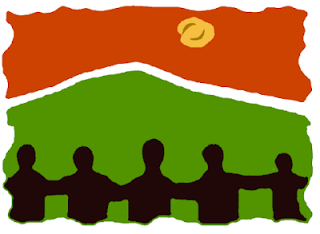 That means getting the committee to adopt their mission and vote on the family reunion theme, slogan, logo and color. Before you take a vote there are a few important event defining items to put on the table, five to be exact. Event Title: It's important that the committee making the final decision on the t-shirt design are familiar with the meaning behind the event title and how it relates to the mission. The title can be printed on the t-shirt, banner and any event keepsakes and party favors. Theme: The theme may address the direction you will take to accomplish your mission. It may focus on the activities involved providing a central definition of purpose in just a few words. In this example the theme focuses on reuniting the cousins of the family and all that this may imply including meeting and greeting, exchanging contact information, sharing photos or slideshow presentations of days gone by. Enjoying entertainment characteristic of the cousins generation. Visiting the homestead and enjoying festivities as a group. Mission: The mission is the vision of purpose. It defines the ultimate purpose and objective for having the event and therefore sets the bar or standard for each participant to fulfill as well as the elements needed to realize that purpose. Example: "Our mission is to discover, promote and manage family interests while introducing a community built by the hard work of a strong house. It is our objective to give our children a sense of purpose and place and pass the torch of family responsibility and reward onto them." Slogan: The slogan is the motivating catchy phrase that encapsulates both the mission and theme. Example: "Knowing Our Purpose, Discovering Our Place, Enjoying the Rewards." Once these elements have been defined it's time to design the shirt. Most of us are not masters of brush and canvas. But that okay. Not everyone is a rocket scientist either. The fact is art is everywhere. In creation art is free for the taking. So take pictures and use it as a guide to design your logo. Take a look inside your photo editing application and you'll likely find free images ideal for logo design. If you have access to Fimark's Family Reunion Planner web application you have access to scores of family reunion logos ideal for your t-shirt design project. If you're still looking for logos there are plenty to choose from at http://family-reunion-t-shirts.fimark.net. Once you've settled on the t-shirt logo design it's time to pull it all together adding the Title, logo and slogan on a colorful shirt of your choosing. Use a quality t-shirt design web application like those found at Zazzle or Custom Ink. Once you choose a pre-designed family reunion t-shirt you can select the color, fabric and shirt style according to size, age or gender. Edit it adding the Title and them and create a link to your design. Families can view the design and purchase shirts from their own device. No need to collect orders! Take into account t-shirt design app services that Free Shipping No Minimums and bulk order discounts. Prices as low as $12.00 a shirt. The Family Reunion Attendee Registration Roster is an Excel and Open Office compatible spreadsheet for entering t-shirt order information such as orders by household, family member, t-shirt size, cost and payment status. In addition, use the spreadsheet database as contact record. Easily enter survey data and create preference ranking reports. Transform surveys into charts for committee meetings and newsletters. Also enter committee members and departmental assignments. Using Google Docs the Attendee Registration Roster can be edited in real time from most devices. Committee Member, Assignments and more.